The Place Where You Belong! Our 10 missionaries departed for Haiti Thursday, July 20. Team Leader Lynette Francois wrote, “Today I’m headed on a mission trip to Haiti…this time to build 10 homes for needy families and help lead them to Christ”. Missionary Francois leads this 3rd effort in 4 years to change the lives of the people of Haiti with the love of Christ. Following the footsteps of her mother, Missionary Bertha Vaughn, whom is making her final trip to Haiti, she served along side of her eldest son Nehemiah on the previous 2 efforts, and makes this 3rd trip with her youngest son Isaiah. Like the last trip, families are being used. 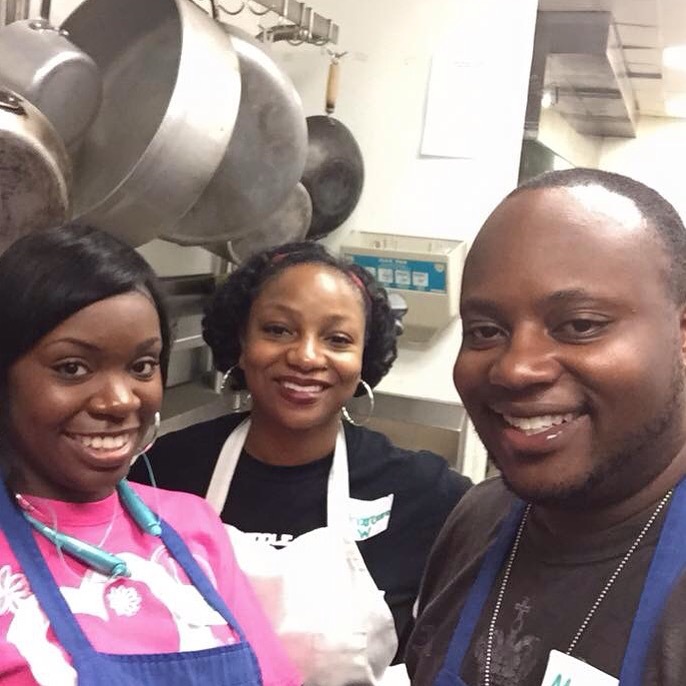 On this trip, our very own Pastor & First Lady are serving, Minister & First Lady Sowel, and Ebony & Symone Barnes as mother and daughter. God has used these efforts to build within our families the seeds of sacrifice and suffering that have lead to spiritual growth and Kingdom advancement. Our team hit the ground running. They rolled up their sleeves to maximize their time an to achieve their goal of blessing 10 families with a home from the money raised by our missionaries. Each member relied upon the Lord to give them strength as they worked in extremely hot conditions, and without some of the modern technology we have grown accustomed to. Sister Francois records that our missionaries were able to meet 9 of 10 of the families that the homes are being built for. A reception hosted for them allowed each family to be prayed for, worshiped with and loved on. Sister Francois says, “More photos to come of the families (and the kids) later in the week. Ages range from 4 days to 78 years old”. 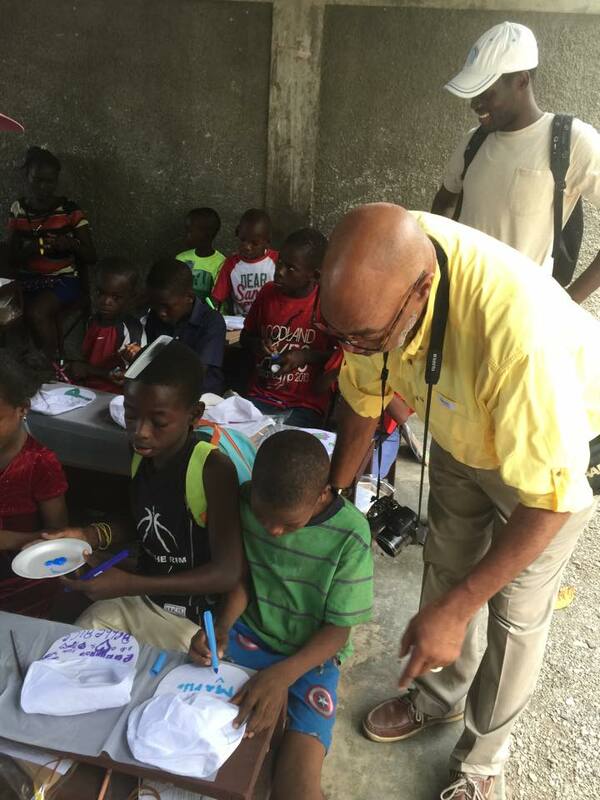 Our team continued to pour into the residents assisting with the local Vacation Bible School (VBS) effort. Mrs. Maudie and Lady O assisting children with the VBS craft. The theme was drawn from the story of Jonah and the Whale. Our group worked side by side with staff with the residents of Haiti to make fun crafts, shoot some hoops, ministering through praise dance, as well as teaching the lessons. The residents were amazed at the creativity of the team and the curriculum. Each was attentive and excited about the lesson they were learning about Christ as the made things they could take home to remind them of the love of Christ expressed through the VBS program. This entry was posted in First Met Event Reviews and tagged FirstMetChurch, fmchaiti2017, Haiti, haiti2017, Missionary, Missions. Today, God blessed the First Met You Belong Food Pantry with a God sized donation! A private food vendor from Sugar Land, Brother Eric, delivered a portion of his Amazon distribution business products to render support to families for the Thanksgiving Holiday! The load included snack items of many variety! Kellogg Protein Bars, Nature Valley Biscuits, Skinny Cow Heavenly Crisp, Nature Valley Clusters, Cheerios, Peanut Butter Patties, Chuckles, Takis, Life Savers, Sweet Tarts, Hershey’s Chocolates, Teddy Grahams, Gold Fish……… The list of products, too numerous to account for. Brother Eric business, Loanstar Trade, called First Metropolitan Church by change he said, but we know he called by order. An order from above, seeking to provide the things needed to show forth His goodness and mercy to all generations. We praise God today for the acts of His hands, and for the obedience of Brother Eric, who’s kindness and generosity will be rewarded! 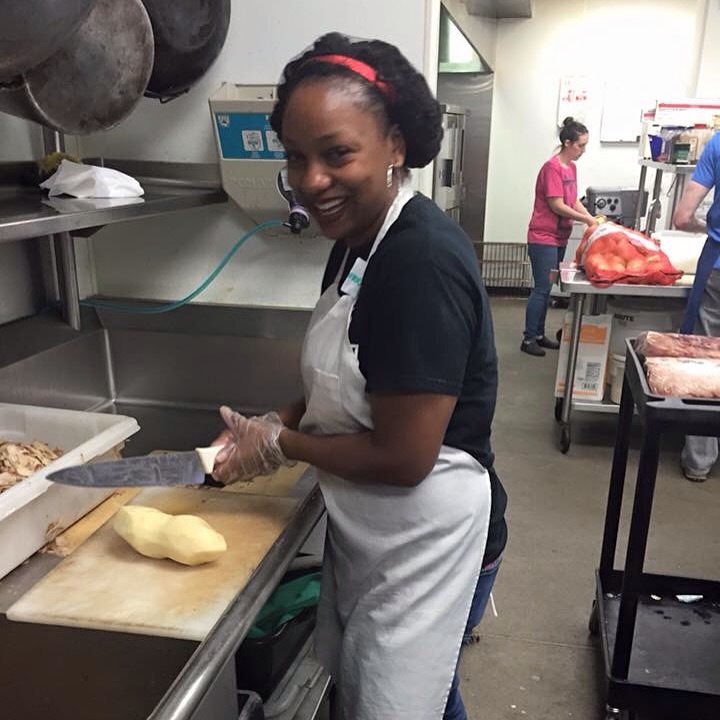 This entry was posted in First Met Event Reviews, Uncategorized and tagged donations, FirstMetChurch, food, food pantry, mission. The Senior Adult ministry at First Met continues its effort to take the Gospel of Christ to the Woodwind Lakes Rehabilitation Center off Windfern and Gulf Bank. On November 4th, the Senior Adult ministry greeted the residents of the Nursing Home with song, sermon and prayer. In the community room, the residents joined the Seniors to sing “Jesus Lifted Me” and “Alleluia-Lord I Love You”. Scripture and Prayer was given, and then “You Can’t Make Me Doubt Him” and “Leaning on the Everlasting Arms” were sang. The songs chosen by Deacon O’berry were selected to encourage the residents, all of who are being challenged daily to press through the rehabilitation process. While each persons circumstances vary, the faith that all residents need to have a successful rehabilitation experience is the same. The message from Rev. Skip Harvey, encouraged each resident to maintain hope in the Lord. Finding strength in His Word and comfort via His Spirit to make it through the next series of exercises and test. The group closed with “I Am On the Battlefield For My Lord” & “God Bless America” to honor Christian soldiers and U.S. soldiers. Closing prayer was given. This entry was posted in First Met Event Reviews and tagged FirstMetChurch, Nursing Home, senior, Worship. This entry was posted in First Met Event Reviews and tagged Church. 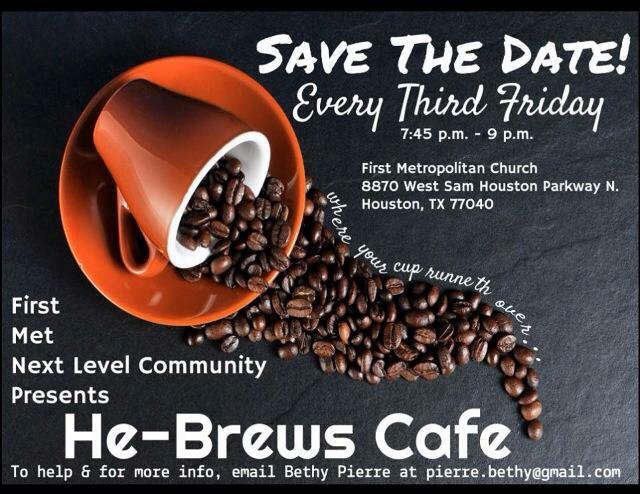 Saturday, the Next Level Young Adult Ministry of First Met set its eyes on showing the love of Christ at The Beacon. The mission of The Beacon is “to provide services that restores dignity, self respect and hope to Houston’s poor and homeless.” The ministry was established by Christ Church Cathedral in 2007. The Beacon averaged servicing to 600 to 800 people a day. 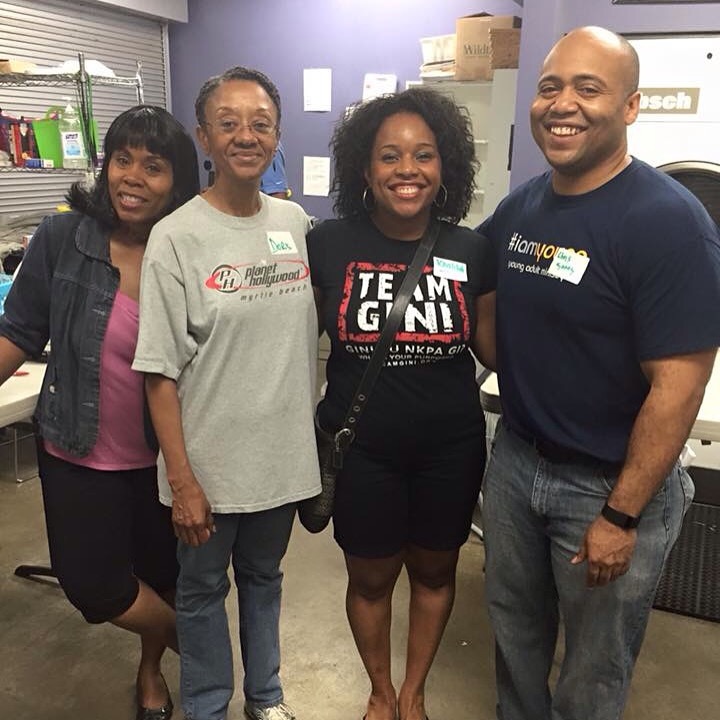 While there, the young adults served in a variety of capacities. Manning different station;s which brought together the meal that would feed those that made their way to the Beacon. “Our members served the community by preparing food, laundering clothes, and monitoring facility usage” said Chriswell Jones. Though the work was a sacrifice, they served with a smile, bringing a loving attitude and hard working diligence. “The event was rewarding for all” Chriswell reported. This entry was posted in First Met Event Reviews and tagged Missionary, Support. The 2015 Haiti Team has been hard at work. The members of First Metropolitan and Bethany have spent the past two days building 2 of the 4 houses scheduled for construction. Featured in the posted pictures are the members of the team not only speaking forth the love of Christ, but doing the work of Christ, showing His love to their by building a home to meet their needs. One of the quiet story lines is the Francois and Vaughn family. They represent 3 generations of missionaries, all serving God on the Haiti 2015 trip. 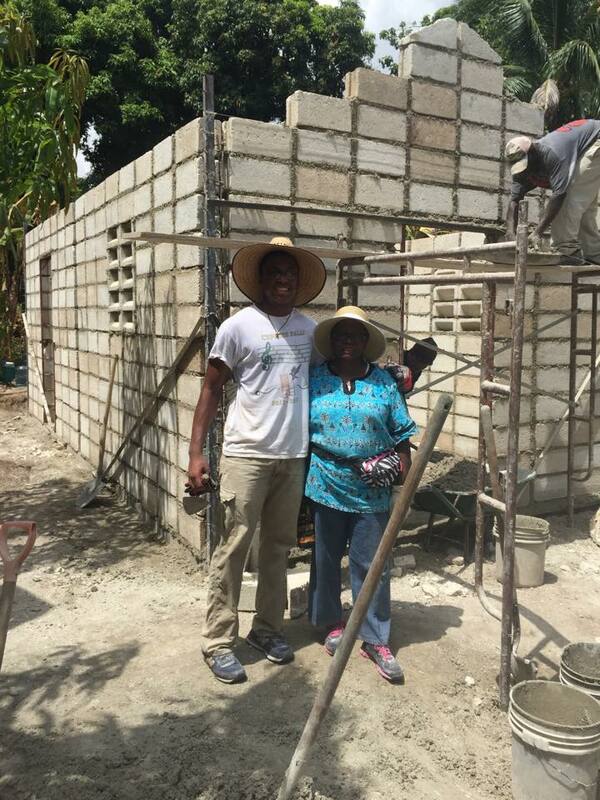 Seen in the photo, is Grandson Nehemiah Francois serving with grandmother Missionary Bertha Vaughn (Not pictured is Mission Ministry Lead/mother Lynette Francois). Missionary Vaughn, a member of Bethany Baptist, is a seasoned missionary, spending 2 plus years living in Africa. A former educator and administrator from Prairie View A & M and Texas Southern University, she left the halls of academia, and made her home an indigenous hut that placed her close to the harvest field. Her labor of love and dedication has impacted the following generations. Her daughter now leading the Missions Ministry at First Met, and her grandson a missionary as a youth. 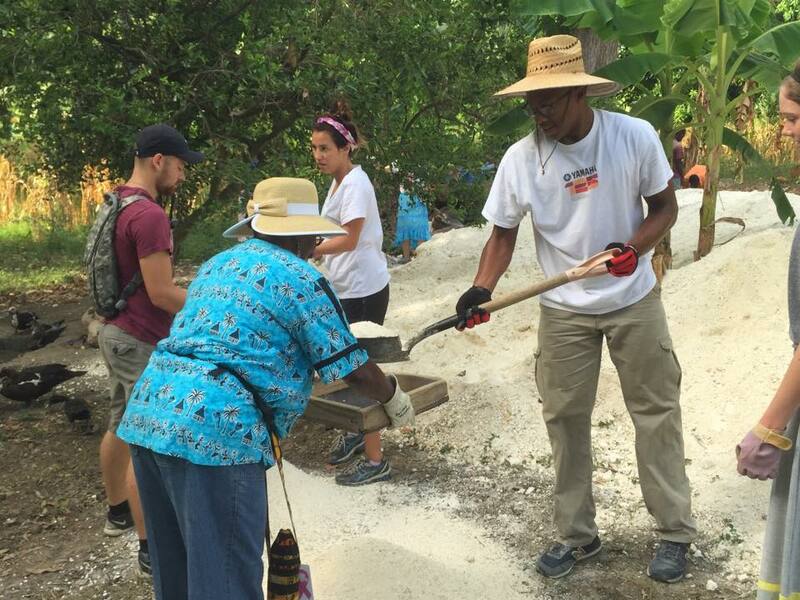 The mission team took a moment from building homes to build the people of Haiti. On schedule, Vacation Bible School! Planned were fun lessons and projects that would help the children get a better understanding of who God is, and how much God loves them. Featured in the pictures is one to the many entertaining projects that provided both the message of Love but a functional piece; The Sun Visor of Love. The students were all excited to make the visors and were entertained by the vibrant colors and the exuberant Spirit of the missionaries, who were eager to bring some joy to the life of those they touched for Christ. Missionary Kelly Bundy enjoyed sharing the gift of Christ and creativity with the kids. On each hat was featured the words “Jezi (heart symbol) Ayiti” whtich means Jesus Loves Haiti. This entry was posted in First Met Event Reviews and tagged family, FirstMetChurch, Haiti, Mission Trip, Missionary, Pastor O. The food being served is some of America’s finest cuisine. Lunch on day 2 was a mouth watering hot dog with succulent macaroni and cheese, was accompanied with lays chips, and most importantly, fruit punch to quench the thirst. Both Brother Gullery and Sister Gleason agreed “They are all very tired and are looking forward to a good night’s sleep before we tackle our tasks tomorrow.” Missionary Francois reports, “Our bedroom in the private cottage at Lifeline Christian Ministries campus in Grande Guave, Haiti.” The sleeping quarters featured a comfy bunk bed with a window air conditioning unit. The floor plan is very spacious, featuring widows and privacy through curtains. The group closed out the night in worship. The service was filled with the Spirit, which provided energy to the worshipers. All sang and danced, giving God the highest praise they could deliver to the King. Each believer provided a warm welcome, as people of all colors served and worshiped the same Lord! Keep the Haiti Mission Team in your prayers. Tomorrow, they begin building the homes the homes that First Met and Bethany Baptist raised money to build. Four families will have a place to stay upon our departure. Praise the Lord! This entry was posted in First Met Event Reviews and tagged FirstMetChurch, Haiti, Missionary, Pastor O, Service. The Scribe on God Sized Donation!